As its name suggests, the Huawei P30 Lite will be a lower specced model to be positioned alongside the P30 and P30 Pro. The phone is confirmed to have a triple rear camera setup. 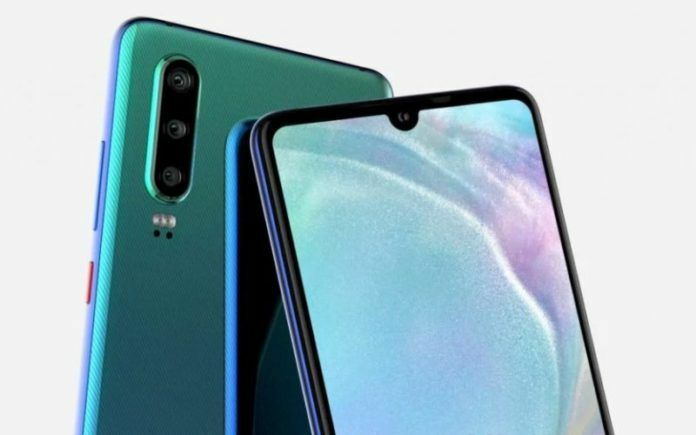 The front of the phone has also been confirmed to house a 32 MP selfie camera in a waterdrop style notch. The display on the phone is going to be a 6.15inch CD with a Full HD+ resolution. The phone is expected to be powered by a Kirin 710 chipset paired with 4GB of RAM. By default, the phone will run Android 9.0 Pie with EMUI skin on top. The battery on this phone is said to measure 3240mAh. 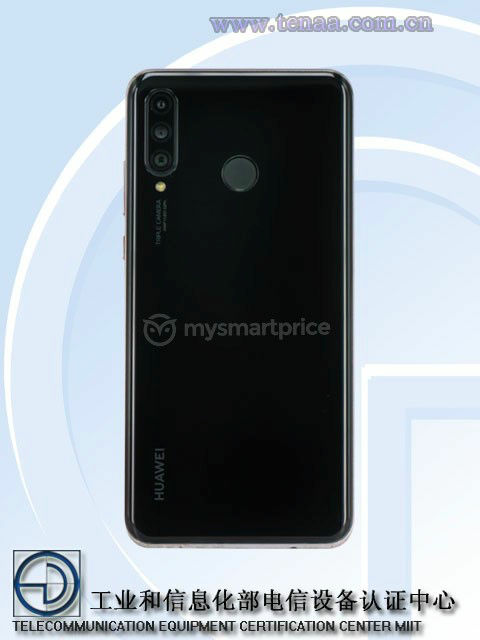 In some markets, the P30 Lite will also be known as the Huawei Nove 4e. There is no solid confirmation yet regarding the price of the P30 Lite. With that said, we can guess based on the price of last year’s P20 Lite that the new phone would be priced under the INR 24,999 price point. 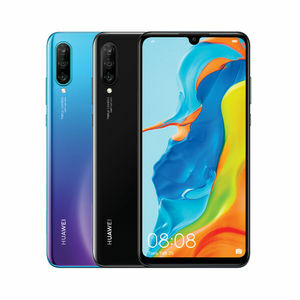 A few days ago, Huawei took to Twitter to announce that it will be unveiling the P30 series smartphones at an event in Paris on March 26. In China, the P30 lite will be called the Nova 4e. Huawei recently released a teaser video for the phone. The teaser reveals that the handset will sport a 32MP selfie shooter in a waterdrop style notch. 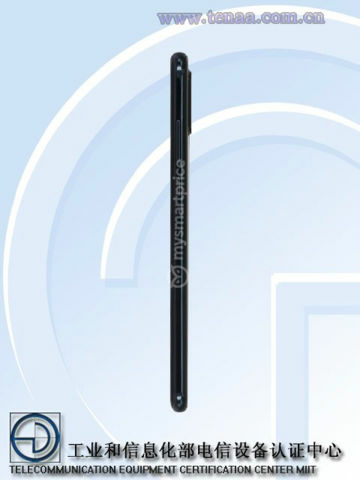 The TENAA images confirm the Huawei P30 Lite will be equipped with triple cameras on the back. We can see that the handset has an LED flash module positioned below the triple-camera array. It also features a circular fingerprint sensor at the rear. 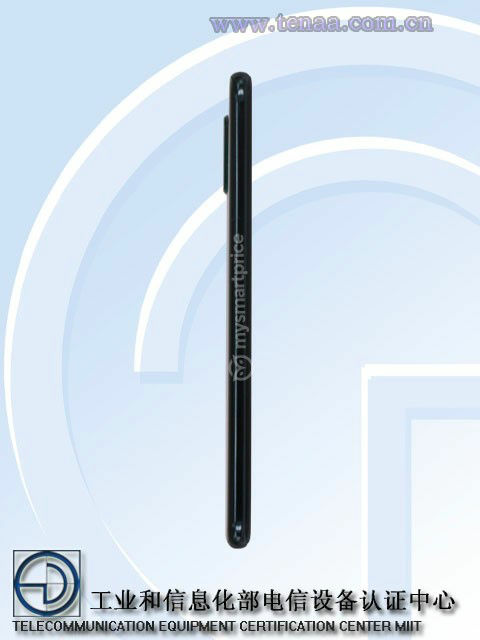 On the front, the P30 Lite will feature a waterdrop-style notch at the top, just as a few leaked renders had suggested. Similar to its predecessor, the P20 Lite, we expect the P30 Lite to be a mid-range offering with less impressive specifications when compared to the flagship P30 and P30 Pro models. 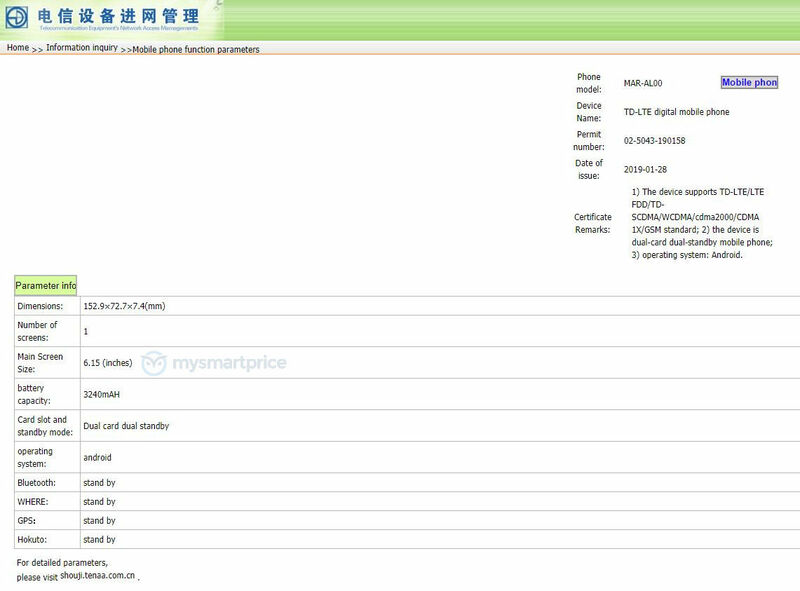 While the images of the smartphone are now live, TENAA is yet to list all the key hardware specifications of the P30 Lite. 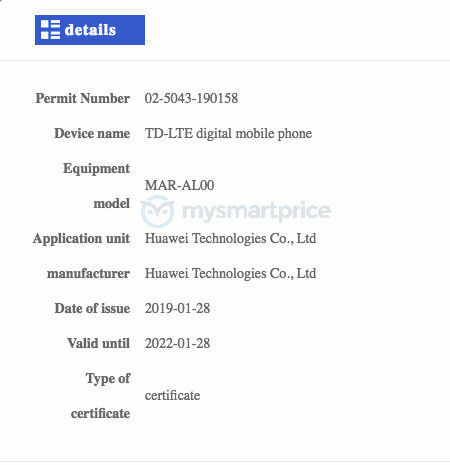 Prior to the images being posted on TENAA, two variants of the Huawei P30 Lite appeared to have been certified on the site: MAR-AL00 and MAR-TL00. 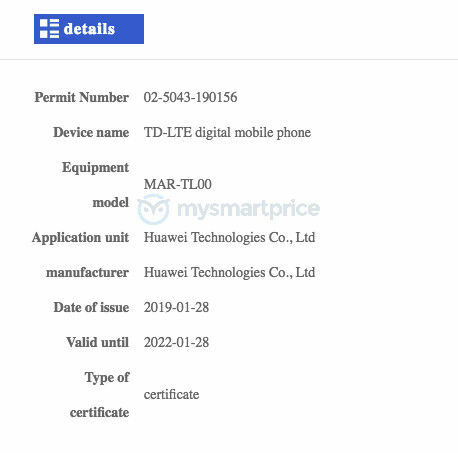 The TENAA listings for the two variants revealed the Huawei P30 Lite will feature a 6.15-inch sized display. As suggested by the smartphone’s leaked UA profile, the P30 Lite will have a Full HD+ resolution panel. Apart from the display size, the TENAA listings tell us the smartphone will have a 3240mAh capacity battery. The smartphone’s physical dimensions have been revealed to be 152.9 x 72.7 x 7.4mm. 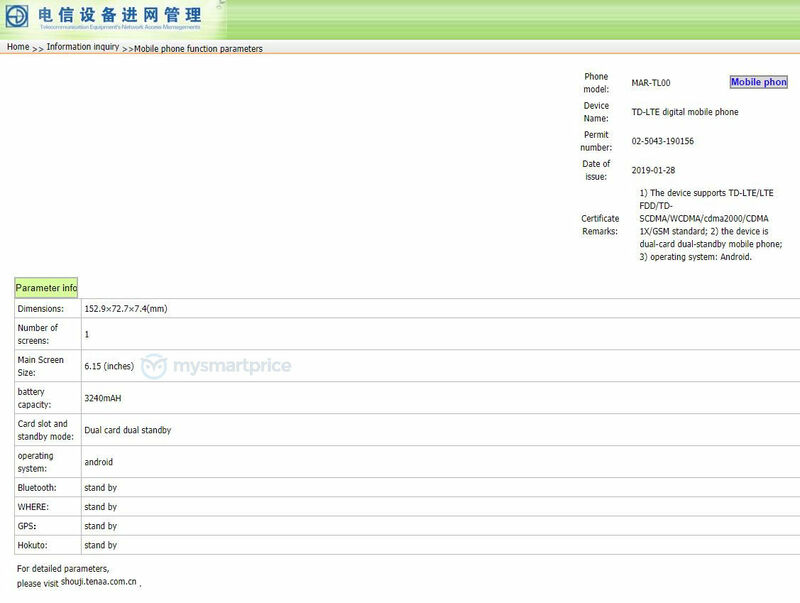 While the rest of the key specs have not been confirmed yet, we expect TENAA to list all the key features of the P30 Lite on its website very soon. Under the hood, the Huawei P30 Lite is expected to be powered by HiSilicon’s mid-range Kirin 710 SoC. In terms of software, the smartphone will ship with Huawei’s custom EMUI 9.0 custom user-interface, running atop Android 9.0 Pie.